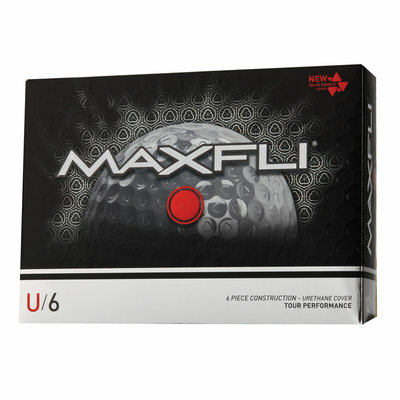 Maximize playability and performance with U/6 Golf Balls. These 6-piece golf balls feature 4 progressively dense mantle layers for straight flight and high Moment of Inertia at impact. The new Tour-proven performance urethane cover features Tri-Di dimple technology and delivers penetrating, aerodynamically sound ball flight. 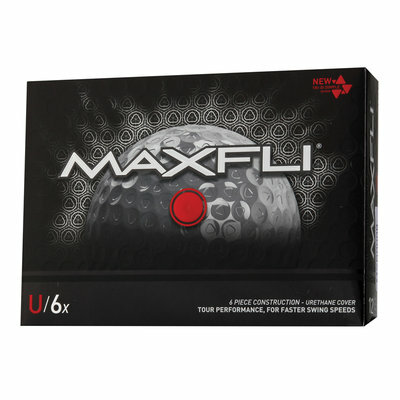 A resilient, low compression core gives Maxfli® U/6 Golf Balls increased distance for golfers with normal swing speeds. Increase accuracy and performance with U/6 LC Golf Balls. Constructed for golfers with lower swing speeds, this 6-piece golf ball features an ultra-low compression core for decreased spin on low trajectory shots. 4 progressively dense mantle layers promote forgiveness and high Moment of Inertia at the time of impact. 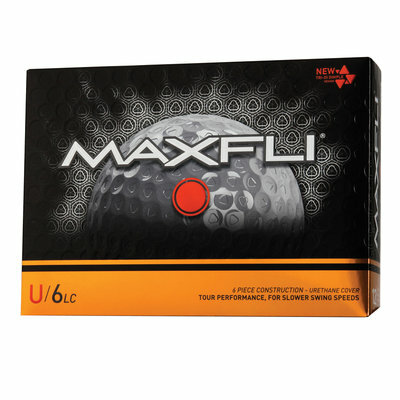 Tour-proven performance urethane covers with Tri-Di dimple technology give Maxfli® U/6 LC Golf Balls supreme aerodynamics. Turn high swing speeds into explosive distance with U/6x Golf Balls. Designed for players with faster swing speeds, this 6-piece golf ball features a high-energy core, which maximizes distance potential. 4 progressively dense mantle layers promote straight ball flight and high Moment of Inertia at impact. The Tour-proven performance urethane cover features Tri-Di dimple technology and equips Maxfli® U/6x Golf Balls with penetrating flight. Achieve Tour performance and greenside control with U/4 Golf Balls. Dual mantle layers provide forgiveness on off-center hits and spin separation, decreasing spin on drives and increasing spin on wedge shots. A low compression, highly resilient core delivers maximum distance across a wider range of swing speeds. The new Tour-proven performance urethane cover provides soft feel and gives the Maxfli® U/4 Golf Balls incredible playability. Blend distance and exceptional control with U/3 Golf Balls. New Tour-proven performance urethane cover provides a soft feel and shot-stopping control for important scoring shots around the green. A DuPont™ mantle layer reduces side spin on off-center hits, delivering straighter trajectories for more consistent performance off the tee. 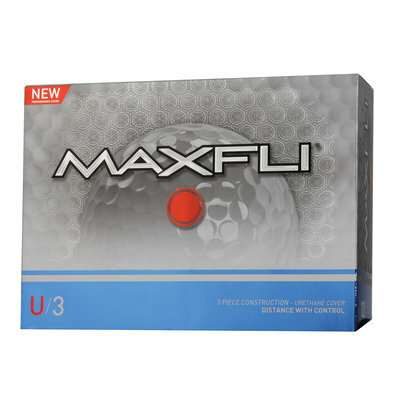 A low compression core gives Maxfli® U/3 Golf Balls maximum playability for a wide range of players. Gain explosive distance off the tee with Revolution+ Distance Golf Balls. The tungsten-infused core translates into faster ball speeds and an average gain of 12 yards when compared to previous generation Revolution golf balls. A high launch, low spin dimple design delivers consistent ball flight with every club for shot-shaping control. 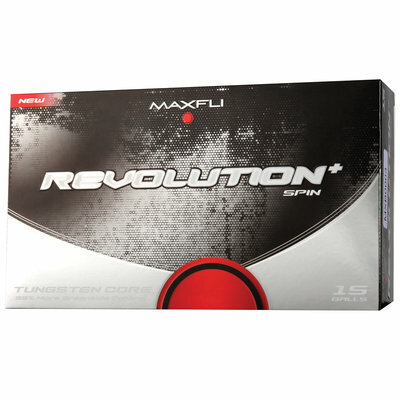 A soft Ionomer cover increases control and gives Maxfli® Revolution+ Distance Golf Balls incredible feel. Stick scoring shots tight to the pin with Revolution+ Spin Golf Balls. The tungsten-infused core increases Coefficient of Restitution (C.O.R.) for increased ball speeds and distance. A soft Ionomer cover generates higher greenside spin for maximum control on chip shots. 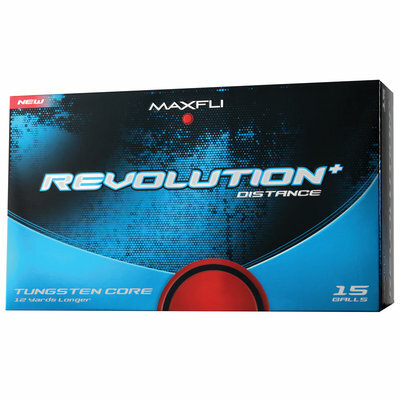 Compared to previous generations, the Revolution+ Spin offers an average of 35% more spin on half wedge shots, giving Maxfli® Revolution+ Spin Golf Ball shot-stopping control. 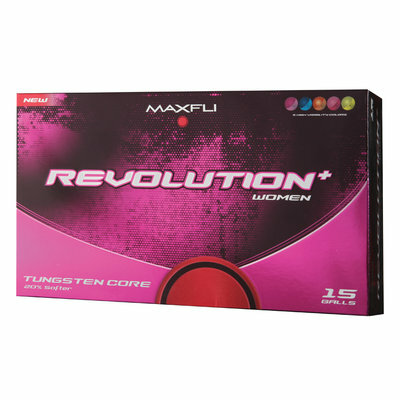 Make every shot count with Women's Revolution+ Golf Balls. The new low compression construction is 20% softer than the previous generation, equipping female golfers with exceptional feel and lower spin for increased distance. A tungsten-infused core increases the Coefficient of Restitution (C.O.R.) for faster ball speeds with any club. The soft Ionomer cover in 5 highly-visible colors adds flash to the Maxfli® Women's Revolution+ Golf Balls. Experience improved feel and control with Revolution+ Low Compression Golf Balls. A low compression, tungsten-infused core increases ball speeds while providing a ball that is 20% softer than previous generation Revolution models. 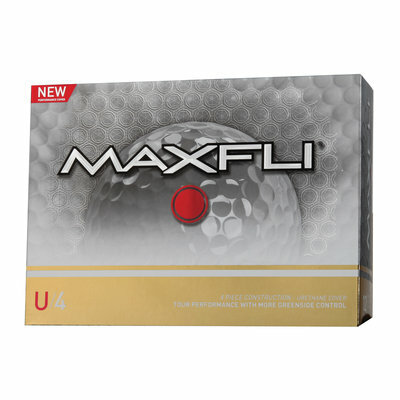 The soft Ionomer cover features a high launch, low spin dimple design that delivers consistent flight and exceptional control with every club, giving Maxfli® Revolution+ Low Compression Golf Balls unmatched feel.